In 2012 I volunteered my time to build the new Rescue4Dogs.com website, a wonderful animal rescue organization that was based in Manhattan. I met the team at Rescue4Dogs when I first took Angie, my older (rescue) Golden Retriever, to swim at their sister organization, Water4Dogs. Over the years the W4D/R4D team helped many animals and individuals in need with swim therapy, exercise, and training. 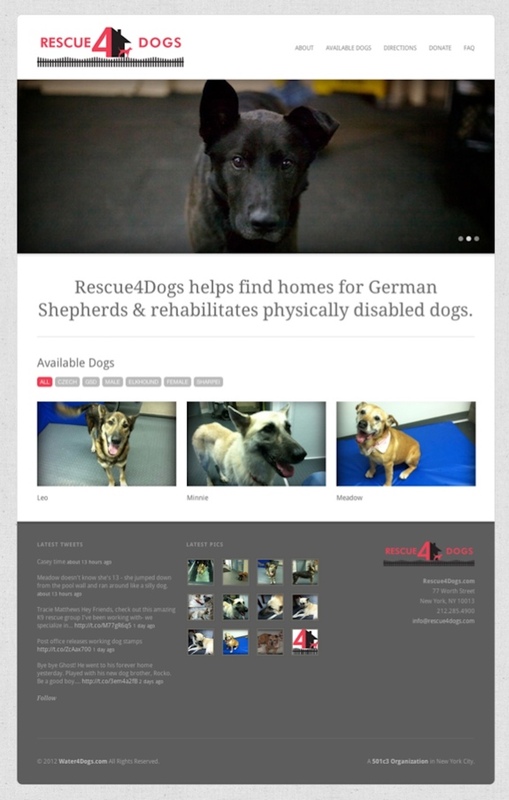 Rescue4Dogs.com was started by Water4Dogs founder Jodi Richard in 2012. She and her team were looking to help find homes for injured dogs who had fallen through the grasp and capabilities of owners, rescue organizations, and shelters. 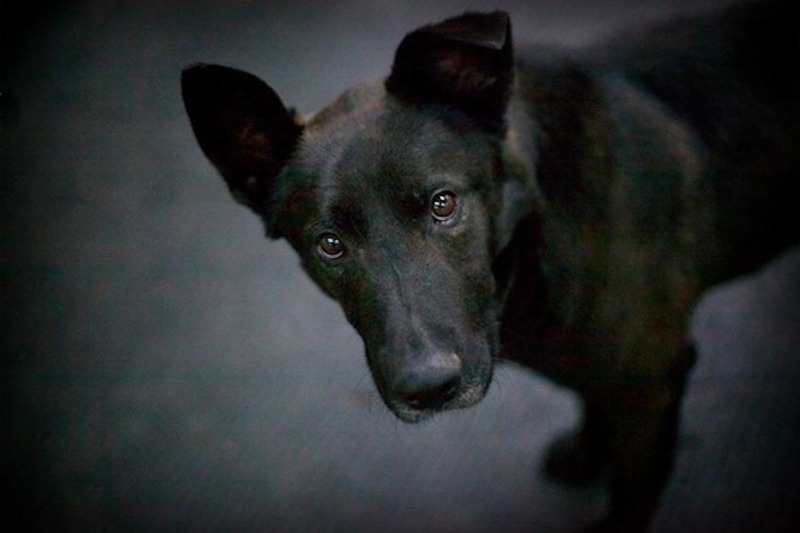 Their mission was to rehabilitate these dogs and help them find forever homes. When the W4D/R4D team approached me to help build their website, my answer was a definitive yes. 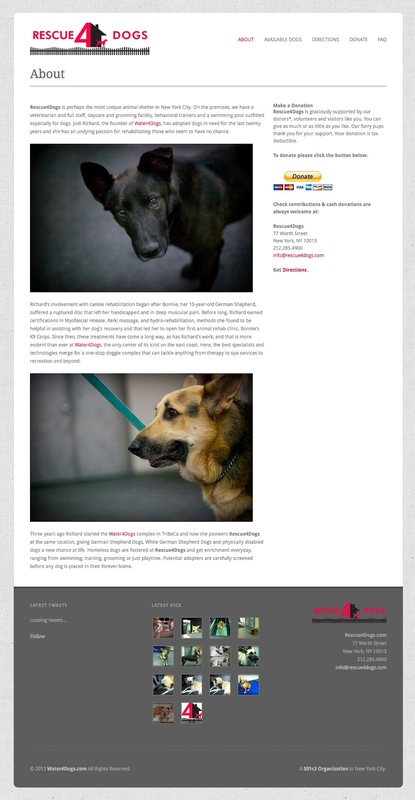 I worked with the Rescue4Dogs team to pull together all of the materials for this site and then to build a simple, yet compelling site using WordPress. I turned to the team at ThemeTrust.com to purchase a great theme; which allowed me to build the site quickly, train the staff to post new dogs for adoption, and incorporate a strategy to post content on Twitter, Facebook, and Flickr. Overall I had a very tight timeline to help Rescue4Dogs meet their launch date. Rescue4Dogs was a tremendous organization that helped many animals and families in need. I was more than happy to volunteer my time to work with them.